← Join one of our Collective Gardens! 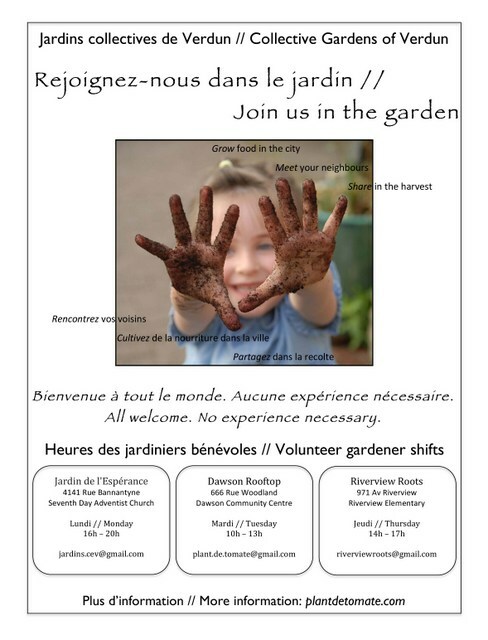 Joinez-vous a nos Jardins Collectifs! This entry was posted in Projects // Projets and tagged garden, jardin, participate. Bookmark the permalink.